A Thule double jogging stroller lets you share your active life with your kids – whether it’s exploring around town or training on nature paths. 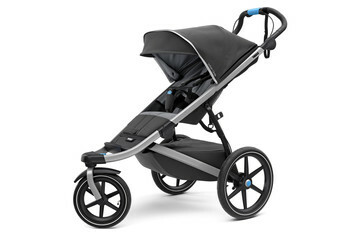 An all-terrain stroller with a sleek, lightweight design, making it perfect for urban exploration or strolling on your favorite path. 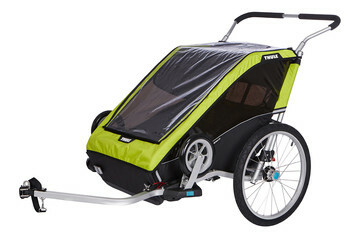 The lightweight trailer, jogger, and stroller, designed for everyday activities. 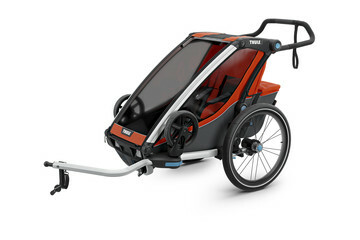 Thule Chariot Cheetah XT is the lightweight performer, the perfect training partner for the athlete in the family. Leave no child behind with Thule double jogging strollers and multisport trailers. Suitable for two kids of different ages from infants and up, they are compact to transport and store as well as easy to maneuver around town and in nature thanks to three large, all-terrain wheels. 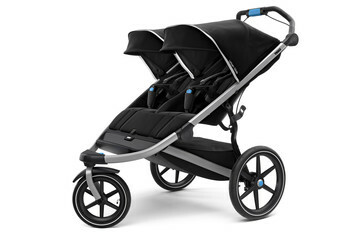 You and your kids are free to spend fun-filled days together – always with a safe, comfortable, and stylish ride as standard. 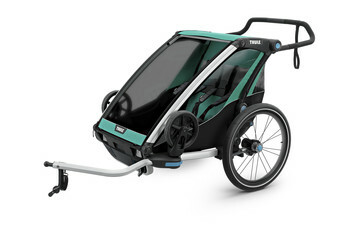 Thule strollers and trailers are designed for active, fun-filled days together with your kids. But a safe, comfortable ride for both children is our biggest priority. 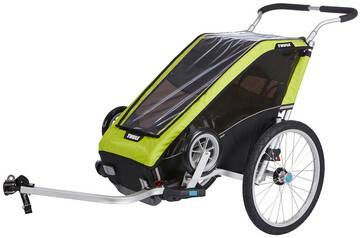 That’s why our products are tested to the limits to meet the highest safety standards and come packed with smart features such as a 5-point safety harness, rear suspension, and protection from the elements either through a canopy or a UPF 50+ sunshade.